Dependable Drywall and Remodeling Inc. Serving Southwest Florida and Beyond! Dependable Drywall and Remodeling Inc. serving Southwest Florida and beyond is a husband and wife owned and operated company. You deal directly with us and we are at your home during your construction project. We will work with you, outlining what exactly you want us to do, with your budget. Dependable Drywall, Inc. was incorporated in 1987 in Michigan where Kevin Gossett holds his Builders License. We also have a license as a State Certified Drywall Contractor for the State of Florida. Our scope of work ranges from patch repairs, remodeling projects and new homes. Also insurance repairs and remodeling due to fire and water damage. 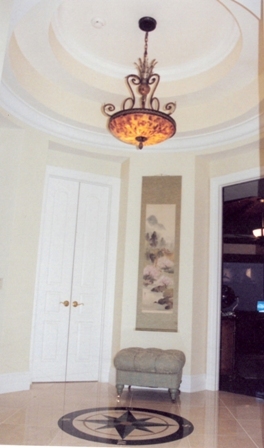 On your drywall we can offer you a smooth finish as well as a textured finish. We can provide you with several references and give you directions to current projects. We work with licensed and insured contractors, that are the best at what they do. We also work with the quality builders that are willing to spend a little more to ensure your home is built the best it can be.